For some reason I thought it would be cool to make background paper with a brick pattern. It was a little time consuming, but I like the way it turned out. 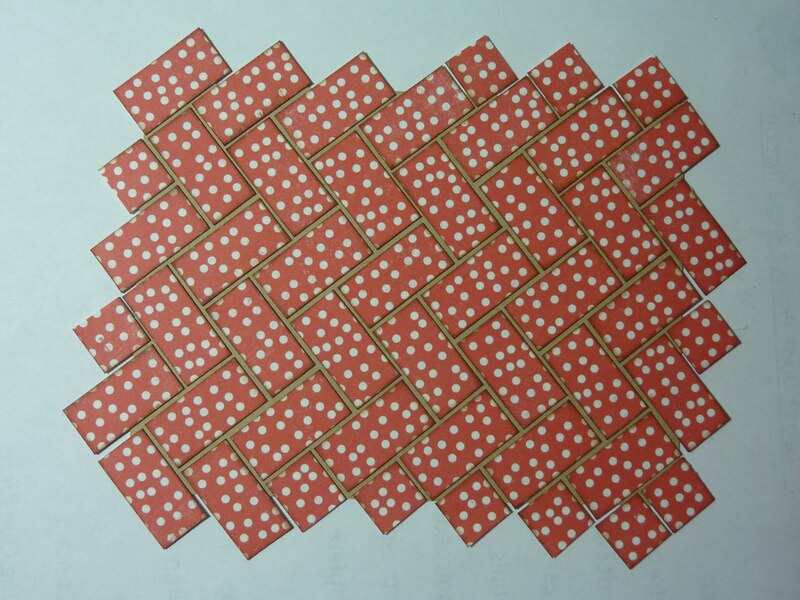 To make this, I first looked online for images of bricks until I found a pattern that I liked. 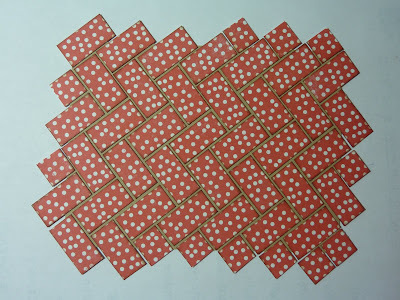 I then used my Imagine More Cards cartridge to cut out a 4" x 6" red polka dotted rectangle. 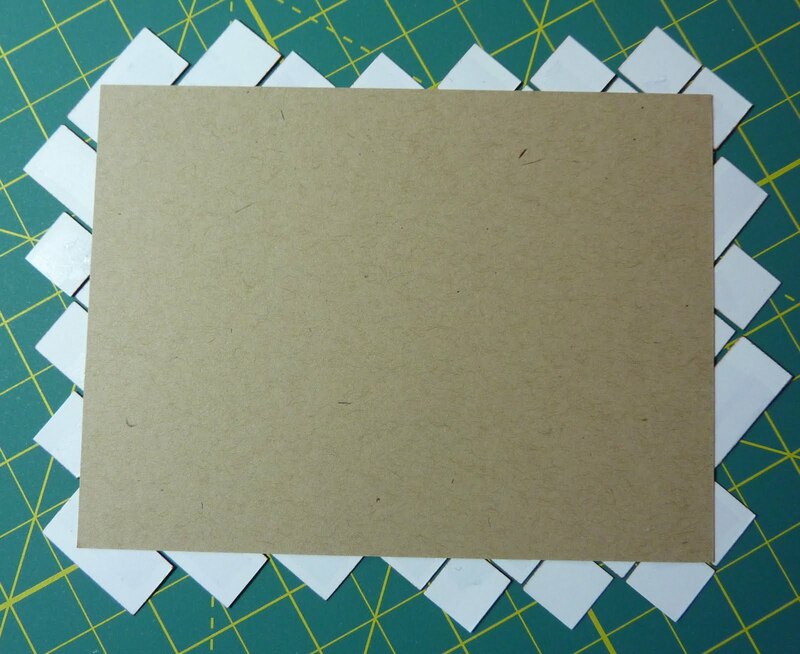 I cut this into 1" x 1/2" bricks. After inking around their edges, I adhered them to a 3 3/4" x 5" piece of Kraft cardstock. Here is what it looked like before I used an X-Acto knife to cut off the extra parts. The apple was cut from the Preserves cartridge at 2", using patterns from the Imagine More cartridge. The sentiment tag is cut at 1" from the Best Friends cartridge, using a pattern that I cached from the Imagine More cartridge. 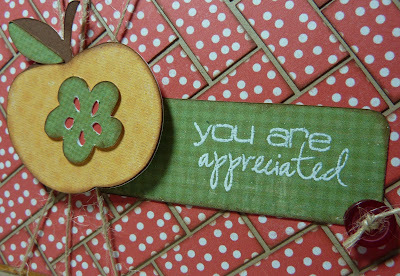 I heat embossed the sentiment, which is from My Creative Time's adorable "So Grateful for You" Stamp Set. 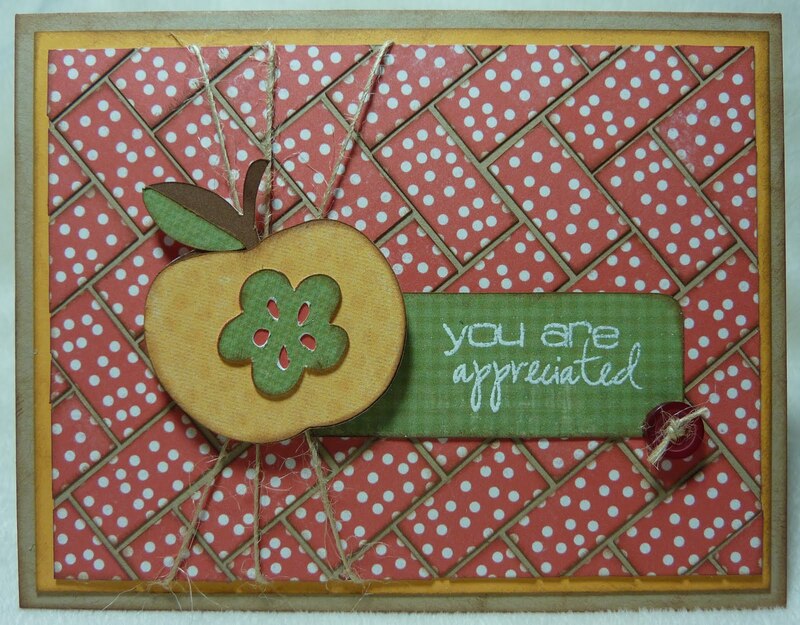 Wow, what a nice card. Looks great. 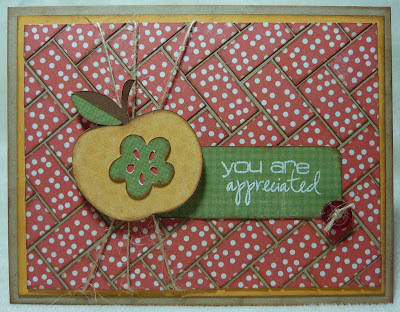 I love the background and the apple.